ARCATA – Though A Lass of the Lumberlands is lost to critical evaluation, with no surviving prints known to exist, the film’s August, 1916 shooting in and around Arcata provided plenty of decently documented real-life adventure and drama, even subplots and an unmasked villain. In generating the 15-chapter silent film, star Helen Holmes and her Signal Film Company entourage navigated the high seas, bad weather, breakdowns, illness and other reversals to meet their shooting schedule. The film company had intended to stay in Eureka, but couldn’t secure “accommodations,” so Arcata’s business community stepped up to welcome the crew. Landlord Heumann of Hotel Arcata and a committee from the Arcata Chamber of Commerce leapt at the opportunity to bring the production to Arcata. Then as now, newspaper people were just as happy to hang out with film stars and crews as sit behind a keyboard in an office. As a result, the moviemakers’ fortunes were chronicled in rich weekly detail in the Arcata Union. Motion pictures were taking off, and adventure dramas like Helen Holmes’ “The Hazards of Helen” series were staples of the nascent industry. The Union heralded the film company’s imminent arrival in its Aug. 10, 1916 story headlined, “’Movie’ Company Coming to Arcata,” with “Movie” in quotation marks. 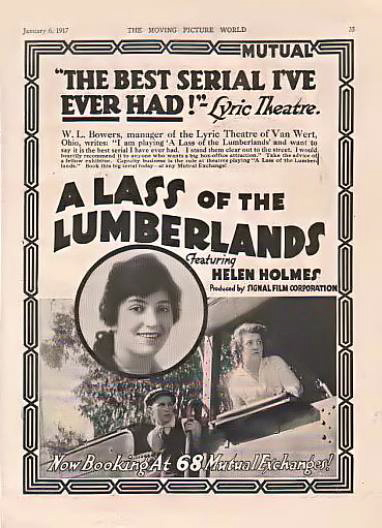 The film’s title was misstated as The Last of the Lumbering. Three automobiles with drivers would be required to ferry the nearly two dozen film crew members around to various Humboldt locations, and “the machines” had already been dispatched from Los Angeles. Mr. G.A. Shaver, the company’s advance man, had been a school buddy of Henry Brizard. Lodged at the Hotel Arcata, he asked the Chamber for a vacant lot and help with building a 40-foot platform for shooting movie scenes. Two days later, on Saturday, Aug. 12, stage construction was completed on the Brizard lot out behind the Hotel Arcata. That evening, the film crew arrived by train. Mr. Noah Falk’s car delivered Miss Holmes from the train depot to the Hotel Arcata. Of the 30-member film entourage lodged at the hotel, 22 were paid movie staff. These included actors, camera operators, editors, support staff, producer J. P. McGowan and his “colored valet,” and the “colored maid” for Miss Holmes. 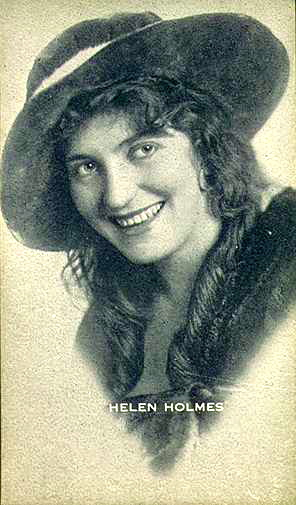 McGowan, Holmes’ husband, was described as “affable and extremely efficient.” Holmes was profiled as “a pleasant-voiced lady with light hair, and features not unpleasing to the human eye.” She was impressed with Arcata, and hoped to bag a deer before the work on her “gelatine thriller” got underway. After resting up Sunday, shooting began on Monday with two scenes filmed on the back lot behind Hotel Arcata. There, a cabin was to be built. Meanwhile, a passenger car was attached to a logging train, and a film crew traveled to the Hammond property in Trinidad for scenes in the redwoods. The Aug. 24 Union reports a grand dinner at the Hotel Arcata, with music by Wagner’s Orchestra. Miss Holmes, indisposed, remained in her room upstairs. Guests enjoyed “a substantial and satisfying spread,” and McGowan delivered an address “in a most happy vein” thanking Arcata for being so helpful to the film production. Meanwhile, 25 locals had obtained work as extras on the film, earning $2 per day plus meals. A faux Indian village was built and burned on Dows Prairie, while more scenes were shot in Arcata both behind the hotel and just down Ninth Street in front of the Fire Department, which was depicted as a jail. By Aug. 31, leading man Paul C. Hurst had been the only one to bag a deer, on the way back from Hoopa, and the Signal crew enjoyed a venison dinner at the hotel. Processed film had been received from the company’s laboratory in L.A., and was reviewed in a showing attended by the crew and prominent citizens. The final sequence would be edited together at the hotel, then shipped east for mass distribution. The Sept. 7 report tells of a trip by auto and “gasoline tug” to the wreck of the steamer Bear, but bad weather hampered filming. A scene involving some 50 extras was shot on a Eureka Wharf, and more scenes were shot aboard the passenger steamer City of Topeka. Meanwhile, the film company’s technical staff made preparations to perform the play Paid In Full by Eugene Walter at the Minor Theatre on Sept. 15 as a benefit for Arcata’s Redwood Park. The film proceeded with plans to wreck a car, a 1910 Stoddard Dayton. During a chase scene, it was to cross a condemned bridge in the Mad River, which would collapse under its weight. But a real-world vehicular misfortune was to prove a setback for the production. A second trip to the wreck of the Bear off Cape Mendocino was delayed by “a number of accidents to the three autos,” though some scenes were successfully shot during the afternoon. Holmes, young actor William Brunton and two other cast members worked in a high wind for the last hour of available daylight and it left them drenched in wet clothes for the moonlight journey back to Arcata. But by next morning, the truck and missing crew hadn’t yet arrived in Arcata. One of the touring cars was dispatched to find out what had happened to the crew. The truck was found still stalled on the mountain. It turned out that “the relief auto had passed the crowd on the road, had spoken to them and not recognizing them as the party they had been sent out to help, had gone on towards Capetown, leaving the party on the truck to stay out on the mountain the remainder of the night.” They’d built a fire and survived the night with no ill effects. 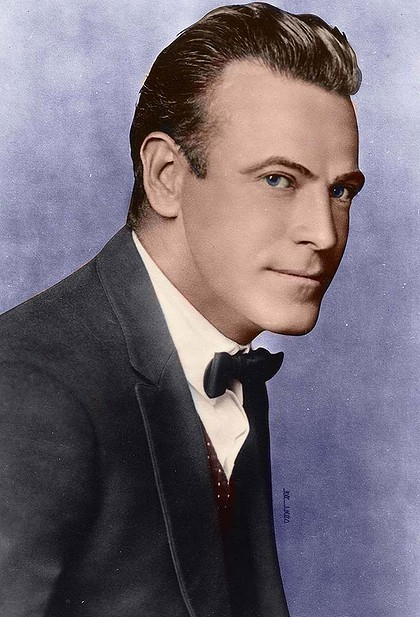 Unfortunately, leading man Leo D. Maloney came down with bronchitis. In the Sept. 21 Union, the paper revealed a film-related scheme perpetrated by an apparent grifter, one D. J. Gendron – the sort of parasitic schemer that to this day works the fringes of mass media, glomming on to the accomplishments of others. Gendron had appeared at the newspaper’s office inquiring as to the price of two pages of advertising. His intention, he said, was to publish a proclamation of welcome for “Helen Holmes and the Signal Players,” and have it signed by every “businessman” in town, without financial obligation. Gendron was told that the paper would have no involvement with the plan other than to sell him ad space at standard rates, and it was “expressly stipulated” that he not use the Union’s name in soliciting business. But solicit business he did, collecting money from some advertisers. Others – “the lucky ones,” the Union said – decided to pay only when their ad appeared in the paper. The Union’s published account set off a flurry of calls to the paper by others who had been scammed by Gustin/Gendron. The Grifter had been using letters of endorsement from the San Francisco Call and Humboldt Times newspapers to secure “credit for the necessities of life.” He’d written a bad check at a Eureka diner, and had tried the same thing at the Hotel Arcata. But Landlord Heumann was not such an easy mark – on depositing Gendron’s check, he’d told the bank to send him a telegraph message if the check was declined. Helen Holmes made railroad serials until 1919, when she switched her cinematic persona to that of a newspaperwoman. She continued to work in film as an actress and animal trainer until 1946, then passed away in 1950. This entry was posted on Saturday, April 20th, 2013 at 7:22 pm	and is filed under News, Community, Technology, History. You can follow any responses to this entry through the RSS 2.0 feed.